Entertainment for the masses (especially the youth) !! – yeah baby!! – spiritual growth. ?- naa- not so much….. I agree that Hillsong’s format and worldly methods is a far cry from what true Christianity is supposed to be all about. The way I see it is that it makes a total mockery of true christianity by trying to popularize it by using worldly embellishments and modern music. The message of late is God is now doing “a new thing.”(Isiaiah 43:19). Is what these pastors trying to say now is that we can now abandon the old time proven gospel message of biblical repentance&faith in the finished work of the cross, the future Judgment & God’s [future] wrath on the impenitent etc. because this message is out-dated and archaic and unpopular with the masses? The main thrust is “team building”, “leadership”, “wealth creation”, being “seeker friendly”and the like. Does this tie in with what Jesus came to institute i.e. laying down our lives in servanthood, dying to ourselves, taking up our cross, and “determining to know nothing, but Christ and him crucified”? I would even dare to say that the way it (Hillsong) is heading, unless if it does what it says in Corinthians to “.. examine yourselves, and see if you be in THE FAITH.”, that this church may end up if not already being part of the end-time Loedician church that Jesus is nauseated with, that is spews out of His mouth. I know you guys screen messages at times, why do you guys not screen out messages like the above? I’m sure if the message was directed at Andea Meseti it would be blocked !! The comment is addressed to Bobbie. There’s no doubt she’s a false teacher and false prophet with absolutely no fear of taking the Lord’s name in vain when she’s claims to speak for Him. Not a good position to be in when she stands before Him one day. Yes. Bobbie is an unbiblical pastor and she lies in the name of God. In the Old Testament times she would have been struck down in a minute. 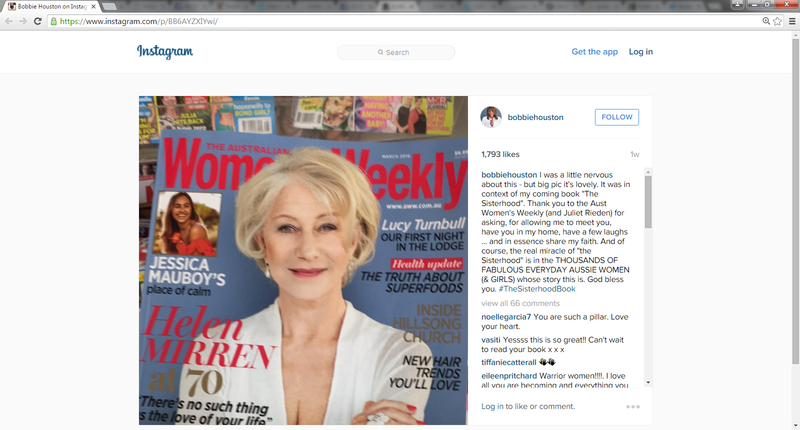 The Womens Weekly have in no way done a “respectable job ” interviewing Bobbie Houston because they have not asked any of the hard questions around what Bobbie knew about the facts of Frank Houstons paedophilia or the criminal failure on the part of the ACC Board to report it to the police. 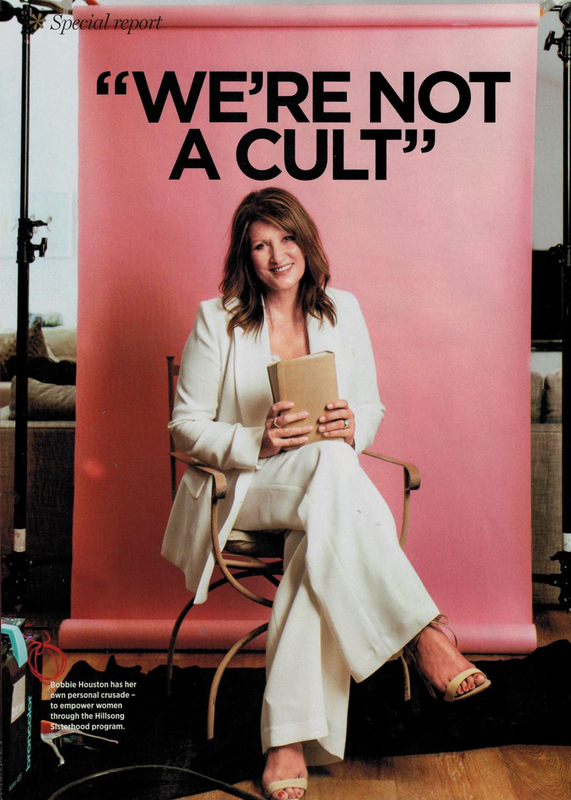 They have also failed to demand of Bobbie that she demonstrate the evidence for the claim “we are not a cult “. Even though they did not ask her the hard questions, at least they researched what came out of the commission and presented what Bobbie wanted to say in light of the what the facts seem to say. They managed to extract very damning quotes from Bobbie in relation to her views in the commission and also Hillsong congregants. They didn’t just take her word for it. Futhermore, they extracted more interesting information from Bobbie in regards to their relationship/job history and CLC/Hillsong history. After this month, we will provide the fuller article for the sake of Women’s Weekly. The lady doth protest to much in all fairness is valid quote, This could also be used in the context that ChurchWatch do protest too much. In fact this entire site is a protest against Hillsong. That’s your problem. You don’t stand for Jesus, you don’t stand for truth in any form, all you stand for is the Hellsong Deception. Contrary to your limited/faulty perception, Churchwatch does NOT protest about your Hellsong Cult. Churchwatch protests against LIES, and your Hellsong Cult just happens to be a whopper. A timely article for you, David. “The painful reality is that false teachers are great manipulators and they know exactly what to say in order to keep your trust (and keep their money pouring in), so sometimes it’s necessary to say negative and critical things to confront them and their teachings. The Old Testament prophets, Jesus and all the Apostles did this. I find that a rather astute observation, if you look you can see exactly who the music is really for, and it’s not God. People deem Hillsong to be good and safe because the music sounds good. How many times did Jesus warn us all? “They will come in my name saying I am he”. They will come saying Jesus is the Christ, not saying that they are Jesus. I am in no way a keyboard warrior! in fact ,very seldom do I comment on anything. So i am going to allow myself a special dispensation and contend for the faith as Jude instructs us…. David this one’s aimed at you!! Over the past weeks of reading your comments i’ve come to the conclusion that im completely baffled as to why in the light of the ‘law of evidence’ you will continually defend a false church that preaches and defends a false gospel! The Lord Jesus Christ and His antoning work on the cross(grace alone through faith alone through christ alone.eph:8-9) is the object of this poor sinners faith! A sinner (our inheritence from the first adam.rom 5:12) brought forth into this world spirtually dead(eph2:1) A slave to sin death and the devil. But our Loving Father being merciful and gracious did not leave us there, but rather comes to our relief. He sends his only begotten Son, born of a virgin under the law that the law might be fulfilled by this Man for all men. And God has Him suffer and die upon a cross, He who knew no sin became sin so that we may be released from eternal death and the kingdom of Satan,that we might receive eternal life and become the children of God..
in their eyes He was a poor wretched man who Had the scorn of many!! The apostle Paul in 1Timothy6:13-14 urges Timothy to keep the commandment(doctrine) pure of Christ confession before Pilate. that Christ’s Kingdom is not accustom to what early kingdoms are, no! This king forgives sin, bestows righteousness, delivers from everlasting death, bestows the Holy Spirit and eternal life, these are the gifts to all who hear His voice, and this kingdom He has established on earth but only in word and faith. After being out of a hillsong ( then called CLC) church for 12 months we visited a local one and were struck at how deafening the music was. Then we saw at the front a giant projected head of Brian! You didn’t need to be a genius to see the cult like practices of the loud music and the idol worship of our beloved “leader”! It took us 12 months to get us unprogrammed and see the manipulation. Yes, its a long, slow battle when you make the decision to leave a C3 or Hillsong because it’s only then that you realise how programmed you really are. When I left C3 it became apparent that they used fear very effectively to stop people leaving or criticising the church, and it took a long time to shake that off. I’m still working through religion… Years later. All I can do is look to the Lord. Bobbie- you’re definitely a charlatan! Hillsong supporters: are you defending God or defending yourself/ Hillsong from criticism? Opponents: are you fighting for God or fighting Hillsong Church itself [for any other motive/s]? There *is* a time for criticism Bobbie Houston. Christians want Hillsong (alleged) Church to preach about our living Lord Jesus Christ. Jesus is Lord, not our church leaders. Jesus is our Saviour, not Hillsong. Very valid points. Did u watch their vision 2016 video I posted? I could only watch several minutes before I got too annoyed. This might surprise you: it wasn’t how the pastors (and wives) presented themselves or how they spoke. As people they looked and sounded pleasant enough. It was the constant background music. I have the same reaction towards movies and TV shows that rely too heavily on music to create a “certain mood”. Rule-of-thumb: If the script is good enough, music isn’t needed. If the script is lousy, it certainly is! The background music was to make people think with their feelings, not with their head. Musical hypnosis is way more powerful than most people realise. Not according to Hillsong – Hillsong does the saving and Hillsong is the hope of the world. Simply listen to or read Brian Houston’s ‘The Church I See’ speech. This is the first time I’ve ever left a comment on anything on the internet… but it’s not going to be a hateful or single anyone out comment, because that’s not the person I am. Jesus has taught me that we change the world, change people and build compassion and understanding by demonstrating love and kindness. Hillsong and the Pastors there have taught me so much and more. Instead of being a hater and judgemental of Hillsong, the Pastors and those that attend…. try it, for a while… then decided if it’s you or not. If it’s not, then I pray God will direct to you on the path he has planned for you. If you love it, come say hi! None of us are perfect, but little by little… attitudes can change. if you don’t know, don’t judge, don’t comment, that’s why the world is an ugly place. 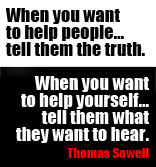 Those who don’t know are always the first to jump in with their 2 cents worth. If you tried HIllsong and it wasn’t you, I hope you find somewhere you love. Not one thing is always going to suit everyone, thats common sense and life… but don’t diss on Hillsong for teaching and helping people become even more loving, kind and wonderful people. Well said, thanks for taking the time to write that post. For me, the most important aspect of your story is that you found Jesus and developed a personal relationship with him. Hillsong provided a Church environment that enabled you to find Jesus. a hospital for sinners there will always be ammunition for critics. Sounds like the very unbiblical decisional regeneration to me, David. Old School evangelists would use the threats of hell fire and brimstone and God’s wrath to convince their hearers to ‘make a decision to accept Jesus into their hearts’. 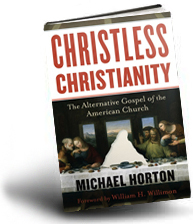 New School evangelists (Seeker-Driven Pastors) don’t like the negativity of discussing hell and sin and have found that they can convince large numbers of post-modern listeners to make a ‘decision to accept Jesus into their hearts’ by convincing them that Jesus will help them experience a more satisfying life. Both of these types of evangelists are in serious error because NO ONE is born again by accepting Jesus into their hearts so that they escape hell or so that they can experience an abundant and satisfying life. Here is what God’s Word says. (Pay attention to who is doing the deciding in all of these verses). John 1:9 The true light, which enlightens everyone, was coming into the world. 10 He was in the world, and the world was made through him, yet the world did not know him. 11 He came to his own, and his own peopledid not receive him. 12 But to all who did receive him, who believed in his name, he gave the right to become children of God, 13 who were born, not of blood nor of a human decision nor of the will of man, but of God. Conclusion: if an evangelist is not preaching repentance of sins and the forgiveness of sins in Jesus name (aka the word of Christ) then he is not preaching a message that God will use to impart the gifts of repentance, faith and peace with God through the forgiveness of sins in Jesus’ name. Let’s talk about numbers David, the “millions” you claim for Hillsong. Have you ever had the chance to check the shelf-life of an average Hillsong attendee? Five years on average, and where are they now? Hopefully, they have seen the light and moved on to a real church (maybe even a small one, as most of the true ones are), one that does preach the whole council of God out of a real bible, not The Message Bible. Your feelings are not the gauge for truth. The smiles on the faces of the “salaried to serve” so called pastors… Are not the gauge for truth. They read the Bible and take every book as person love letters from God. Twisting contexts to suit their prosperity false doctrine. their leaders fill their pockets with money under the guise of servant hood. Same old, same old – it “makes me “feel” good to go to Hillsong. There’s not one word in the Bible about church supposed to be making us “feel” good! 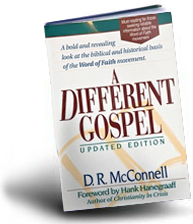 That is NOT the message of the gospel. And the same old message about “haters”. IF the only alternative was, the little church on the corner with the out-of-tune organ, the aging preacher calling us to repentance and the olden day hymns, would we still attend church? That’s the test!!!! Church is not about going to get a “fix” to get us through the week – at least I can’t find the chapter and verse. Don’t “diss” Hillsong for teaching? Teaching what??? Helping people become more loving and kind??? Exampled by whom? Brian Houston and his wife? Just one small question. IF it is all about kindness and fuzzy wuzzy feelings of wanting to help people I wonder why Hillsong has not reached out to Frank Houston’s victims. A load of hogwash!!!! All surface and no substance!!!! Words, words, words. Whoever wrote that comment is brain-washed so badly it is a tribute to the Hillsong cult. I presume regneration mean regeneration. Firstly, I Love it (poster) said in hist post that he had been saved for 18 months, so be careful about your responses he’s a new Christian (which we should celebrate) and is hardly representing himself as a theologian. And yes I did say millions which is an accurate reflection(30+ years, global church’s and broader impact through music ). I agree, thankfully Hillsong don’t preach fire and brimstone and Hillsong do preach repentance of sin as part of their conversion process. If “I Love It” is truly His, nothing we say can change his/her eternal security regardless of opinions expressed here, David. Unless of course it troubles your own security having a semi-pelagian/Arminian mindset? I Love It (ILI) has been a Christian for 18 months? Do you realise at a Hillsong or C3 church that would qualify him/her for leadership. 😄 Seriously it’s happened. MIRACLES in Jesus’ name -only to be told by The Lord ” go away I never knew you! '” It’s unbelievable – can you picture how you would feel if you saw someone in Hillsong performing a miracle in the name of Jesus and then to be told by someone else that the miracle worker is not a real Christian!! You wouldn’t believe them – you would believe your own eyes and the christian sounding words of the miracle worker -wouldn’t you? It just goes to show. Sometimes there is an underbelly to what we see on the surface. God sent His only begotten son into this world to set us free from sin, eternal death and the devil! We are called to proclaim repentance and the forgiveness of sin luke24:47 Not to change the world(this one will pass away.luke21:33) and change people! That’s the work of the Holy Spirit through the hearing of God’s word. Are you serious Clancy? You would have to be deluded if you really thought this was the case. peter Wheeler, which part of NZ are you from? I was saved at AOG Sydneham, Ch.Ch. a few weeks before the Pringles. Shortly after pringle was saved he stole about two thirds of the sheep from our church and started a new one with Dennis Barton. Pringle’s teaching was way off right from the beginning! I can’t believe your quoting John Macarthur although it does not surprise me. Did you watch the “strange Fire” conference” I’m sure you have. He raises some valid points although he is guilty of painting groups with the same brush on a colossal scale. He is a judgmental sneering elitist old man who thinks he has all the answers !! How old are you David? I guess we should have gone back a bit further and quoted that other “judgmental sneering elitist old man who thinks he has all the answers”. His downgrade is now the modern day downgrade. There is a very interesting documentary called What Our Father’s Did. A Nazi Legacy. It is made by philippe sands, a lawyer who specializes in war crimes. It centers around a series of interviews with two old men who fathers were very high ranking nazi officials and consultants to Adolf Hitler. Despite the ‘mountain’ of documented evidence Philippe sands presents to one of the men, that his father was responsible for the deaths of tens of thousands of people He would not believe! that his father committed these crimes. He just could not be persuaded of his father’s terrible crimes. What has transcribe here on this site time and time again, reminds me of this man! 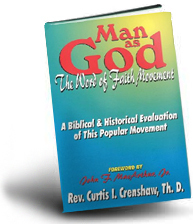 Despite the objective truth of God’s word and the true Gospel of Jesus Christ being presented, which exposes false teaching, false gospels and false churches, some men will just not be persuaded! Perhaps it’s a case of shaking the dust of your feet!! Interesting story Pete – with Hillsong followers? It’s called cognitive dissonance – always avoiding or denying any facts that might contradict the group’s belief system. So this gives you permission to treat him how wish if it serves your agenda in sledging Hillsong? 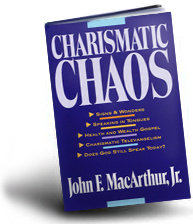 This wasn’t directed at YOU or CHURCHWATCH it was directed at John MacArthur, two very different things. Can you picture how you would feel if you saw someone from ChurchWatch performing a miracle in the name of Jesus and then to be told by someone else that the miracle worker is not a real Christian? My questions isn’t fair and neither is yours because we are both making judgments about someone’s faith.and we are both insinuating they are not Christians. Thank you for asking my question back to me. Actually I’ve been in this very situation – not miracles as such but mighty works. If I were in the situation you posed I would be gobsmacked if I saw one of them perform a creative miracle ( like growing a leg back or something ) and I would find it VERY hard to believe he wasn’t a great ‘Man of God”. But if someone told me he wasn’t (or even my own God given discernment might kick in) I would have to rethink it because Matt 7 v22 has been seared into my brain and heart by God. It’s a wonderful scripture because it teaches us discernment and not to rely on what we see or hear for direction but rely on God to lead us even when all our senses are drawing us the other way. As for judging others, it was Jesus who judged those type of people for us by his words “depart from me you who practice lawlessness”, Jesus speaks (and judges) for us by His word. So who is going to quibble with Jesus and sit around and sing kumbaya with them? Can anyone point me to a verse where “repent from your sin/s” is a requirement for being born again? Repent means change your mind (about Christ). If not, how many sins must I turn from to be saved? Where does Jesus teach this as his gospel? 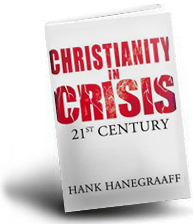 The answer to the question–“Is repentance necessary for salvation?”–is both yes and no. It depends on what is meant by the question. If by asking, “Is repentance necessary for salvation?” the person means that the sinner must first repent, have a change of mind, and stop sinning in order to get saved, then the answer would be no. The reason would be that we are not saved from the righteous judgment of God by stopping sin and doing good–that would be salvation by works. We are saved from our sins by trusting in Christ, who bore our sins in His body on the cross (1 Pet 2:24)–not by ceasing sin and doing what is right. When we receive Christ (John 1:12), we are then justified by faith (Rom. 3:28, 4:5, 5:1), and it is the work of God to regenerate us which then enables us to turn from our sins. Therefore, repentance is the result of regeneration (salvation)–not the cause of it. “Moreover, I will give you a new heart and put a new spirit within you; and I will remove the heart of stone from your flesh and give you a heart of flesh. 27 “And I will put My Spirit within you and cause you to walk in My statutes, and you will be careful to observe My ordinances,” (Ezekiel 36:26-27). “The wind blows where it wishes and you hear the sound of it, but do not know where it comes from and where it is going; so is everyone who is born of the Spirit,” (John 3:8). “Every good thing bestowed and every perfect gift is from above, coming down from the Father of lights, with whom there is no variation, or shifting shadow. 18 In the exercise of His will He brought us forth by the word of truth, so that we would be a kind of first fruits among His creatures,” (James 1:17-18). On the other hand, repentance is necessary for salvation in the sense that we cannot be saved from God’s righteous judgment without changing our minds about sin–without turning from it and seeking to honor God. Repentance is most definitely part of the Gospel message, but we have to make sure that we do not make the mistake of saying that our salvation is because of our repentance. Again, we do not want to say that our salvation is a result of our stopping the doing of what is wrong and turning to do what is right. This would be salvation by works. This is a tricky issue among Christians as to whether or not the unbeliever, who is a slave of sin (Romans 6:14-20), who cannot understand spiritual things (1 Cor. 2:14), and can do no good (Romans 3:10-12), is able to make a choice to stop sinning based on his sinful nature. It would seem that the ability to repent must be granted by God (Phil. 1:29, Acts 11:18, 2 Tim. 2:25). So we have to be careful when we ask if repentance is necessary for salvation. 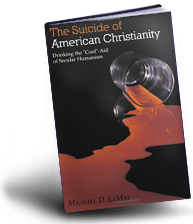 The real question is: “Is repentance the result of salvation?” And the answer to that is yes. But repentance is also part of the message of salvation that commands people to repent because turning from sin is what is right to do. Sin is against the nature of God and that is why God always commands everyone everywhere to repent (Acts 17:30), just as He also commands that you will be holy (1 Peter 1:16) even though we cannot be holy. God is the standard of perfection and that standard is not lessened because of our inability. Therefore, repentance is commanded as is holiness, and we have to depend on God for both. Hi Churchwatch, what is your view on tithing in the church? I admit that I am currently attending Hillsong Church however I’ll leave once I’m able to (still in my late teens). 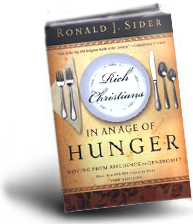 The tithing heresy is an anti-biblical and an anti-Christ doctrine. We say anti-biblical because one has to be very flippant and creative with the scriptures to turn crop, livestock or spoils of war to mean money and to turn the now-perished levite priesthood into the office of pastor. Hebrews 7 clearly refutes the practice of tithing, teaching when Christ, through his death, established His eternal priesthood. 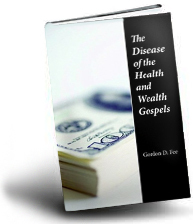 The tithe was given to support a perishable priesthood. 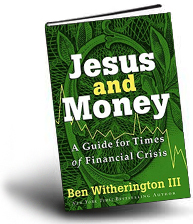 Tithing is of the old wineskin. To give freely is of the new wineskin. Furthermore, the ancient church father Irenaeus observed that the early Christian church did not tithe but that the Jews did. I think David and Newtaste are cousins. David – if you want to continue commenting here, do it with some maturity or your comments will stay in moderation.